THE speculation over Australia's questionable decision to rush Marnus Labuschagne into the Test squad ahead of the crucial Sydney Test continues as pundits weigh in on how to salvage the home side's sinking ship. Fans sat in bewilderment as Tim Paine announced the immediate call-up of the 24-year-old, who bowls part-time leg spin, an hour after Australia had lost in Melbourne to go down 2-1 in the series. Justin Langer follwed that by claiming selectors had a headache because "most of the batsmen knocking on the door are averaging in the 30s". After two consecutive batting collapses, compounded with the worrying form of Aaron Finch atop the order, Australia are obliged to shake up the top six as they fight to save the series from a historic Indian victory. The inclusion of Labuschagne, who has averaged just over 30 in red-ball cricket this summer, raised some serious eyebrows, even if it meant struggling all-rounder Mitchell Marsh was being dropped from the side. Langer said Finch was "great in the team" after Australia's Boxing Day defeat, suggesting the Victorian will escape the axe for the final Test despite averaging 16.16 throughout the series. But if we're judging first-class form and averages on who should be selected, Langer and the selectors may have missed a trick. 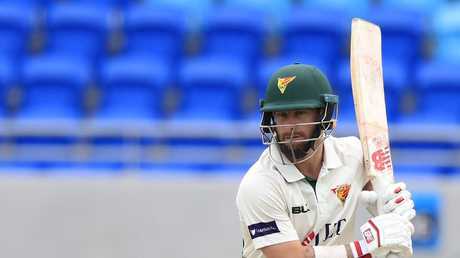 Matthew Wade has been scoring plenty of runs in the Sheffield Shield competition. The Australian's Peter Lalor spotlighted two players in particularly hot form in this summer's Shield season. 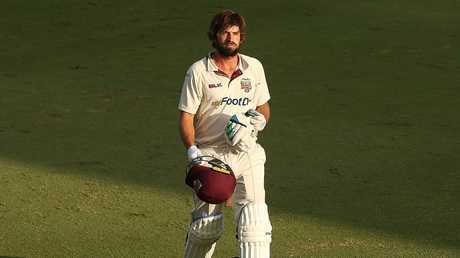 Former Aussie opener Joe Burns, averaging a cool 47.2 against the new ball for Queensland, was left out of the equation despite having 14 Tests under his belt including three centuries. Competition leader Matthew Wade (571 runs at 63.44) also sits among players interestingly overlooked for a Test return at the 11th hour. Lalor probed the situation, questioning if the two stars fit the mould for selectors. "In the absence of any other information, people are speculating that Wade and Burns are, perhaps, 'not the blokes the selectors want'," he wrote. Cricket writer Ben Horne claimed Burns' push for a Test recall was "arguably the most compelling case of all". 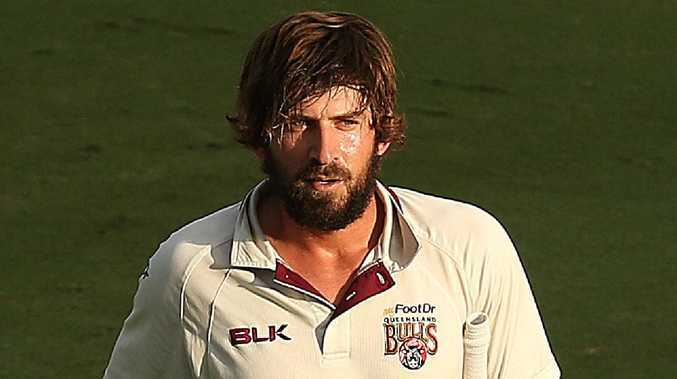 Joe Burns is averaging more than 45 against the new ball in the Shield comp. His last Test was in South Africa last year after being hastily flown over following the Cape Town ball tampering scandal. "Burns is hardly the next superstar of world cricket, but in their current predicament, Australia can't afford to ignore proven and highly functional Test-level players like him in the hunt for a silver bullet that might not exist," Horne wrote. However, former Aussie opener Simon Katich said Labuschagne, who took seven scalps in the UAE against Pakistan last year, could play a pivotal role late in the game alongside in-form spinner Nathan Lyon. "I think what they're looking at is the fact he took seven wickets on that (UAE) tour and it gives them another spin option to back up Nathan Lyon if they think that option is going to be more handy for Sydney rather than the all-round seam option of Mitch Marsh," Katich said on Wednesday. "Potentially they might play two but I think just given the way Australia started this series with six specialist batsmen, in this current climate, the fact we haven't scored a Test 100 in this series, it's a big risk when we don't go in with six specialist batsmen."